Zephyrhills - the name, itself, evokes the feeling of a warm breeze gently blowing through the hills. Situated in the trending Pasco County, just north of New Tampa, Zephyrhills just celebrated its Centennial in 2010 and boasts a rich heritage. Residents enjoy the perfect combination of small town atmosphere with the amenities of larger communities. From its inception Zephyrhills has been known for its healthy, hospitable and active living for seniors. Today the face of Zephyrhills is changing. Agreeable weather, active lifestyle, access to state-of-the art medical facilities, strong sense of community and proximity to the Tampa Bay Area market and amenities make Z'Hills the new choice for businesses, young professionals and families to settle. As progress knocks on the door - Wesley Chapel & Wiregrass to the immediate West, and New Tampa and Lakeland to the South - Zephyrhills enthusiastically embraces this dynamic flow of energy. 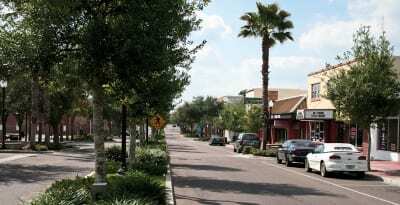 Zephyrhills is a friendly community which respects and embraces its past and heritage, values the diversity of its residents, and encourages economic growth and development while retaining its small town, neighborly charm. City Council meets the second and fourth Monday of the month at City Hall Council Chambers, 5335 Eighth Street, Zephyrhills. City of Pure Water • Tree City USA • Skydive Capital of the World • Small Town Living with All the Amenities of Larger Communities • Pasco County's Best-Kept "Secret"
Zephyrhills is Open for Business!